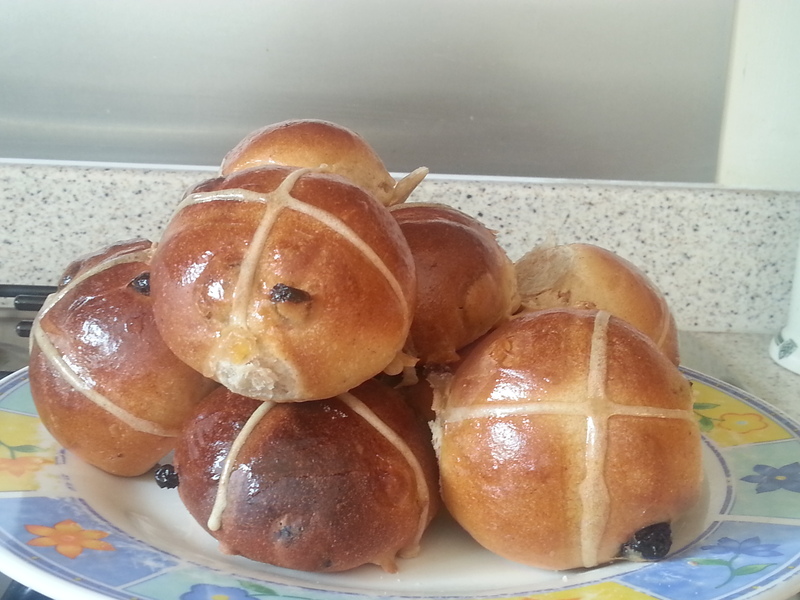 Well here as promised is my recipe for hot cross buns. 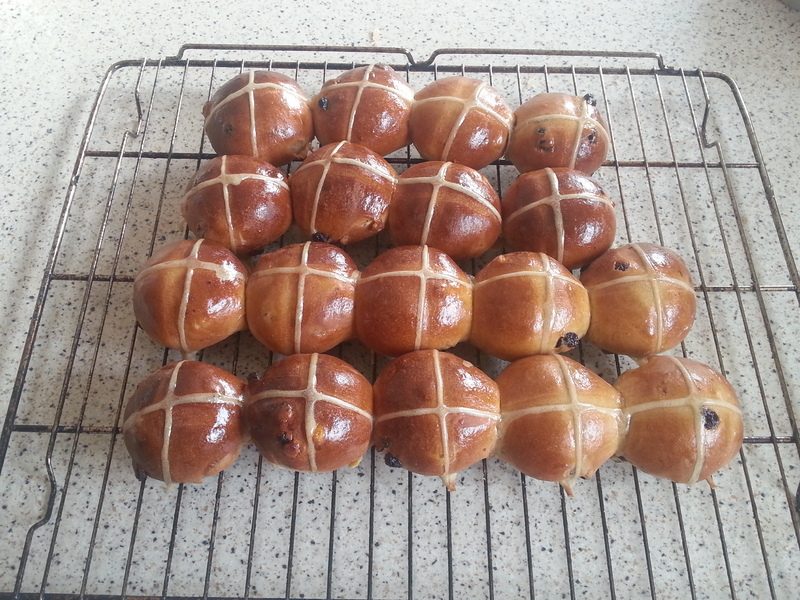 I baked up a batch this morning and they are delicious. Mix the flour, water, milk, yeast, salt and sugar in a bowl. Then add the egg and softened butter and mix to form a dough. 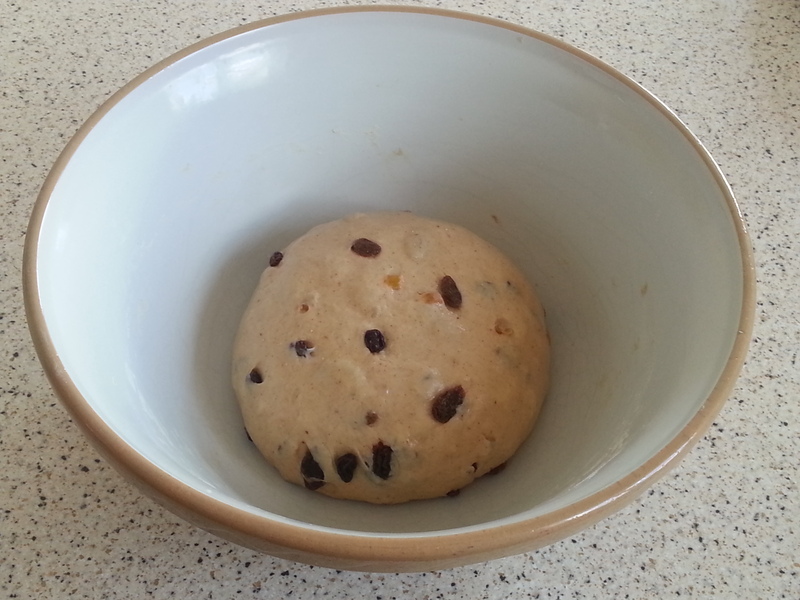 Finally add the spice, orange zest and dried fruit and mix this into the dough. As with brioche this is an enriched dough and can be quite sticky so you may wish to use a food mixer to knead. I always knead by hand as I like the control it gives. Knead until the dough is soft and silky and shape into a round, cover and leave to rise – you know the drill!! When ready, deflate the dough and divide into 12 – 18 equal pieces depending on how large you want them. I weigh them but I am a sucker for uniformity! Shape into small rounds, then place on a floured board and cover with cling film or a linen towel and leave to rise again. This final rise should take about half an hour so it would be a good idea to preheat your oven to 2000C with a heavy baking tray or baking stone inside. Also make the paste for the crosses during the final rise – mix together the flour and water and whisk until it is smooth. Then pour this mixture into a piping bag or syringe. 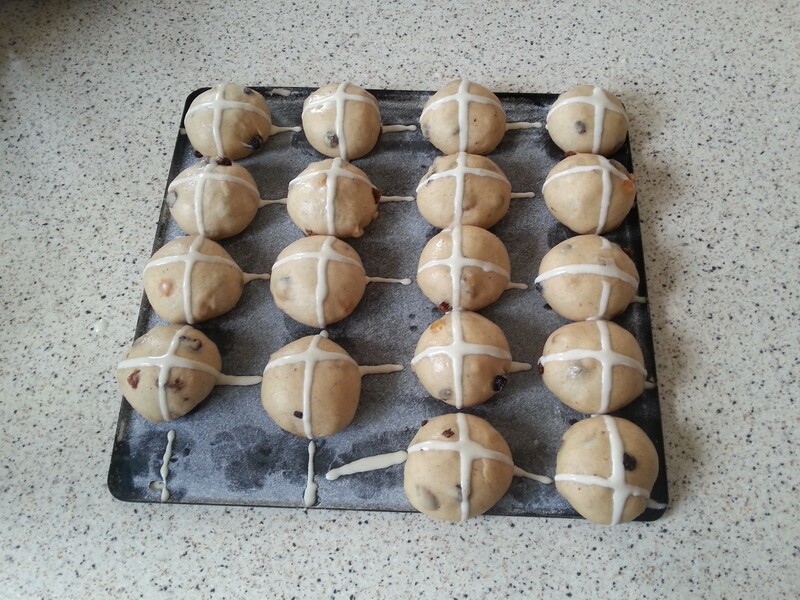 Transfer the buns onto a hot baking stone or tray, then pipe a cross on top of each bun and bake in the oven for 15-20 minutes. 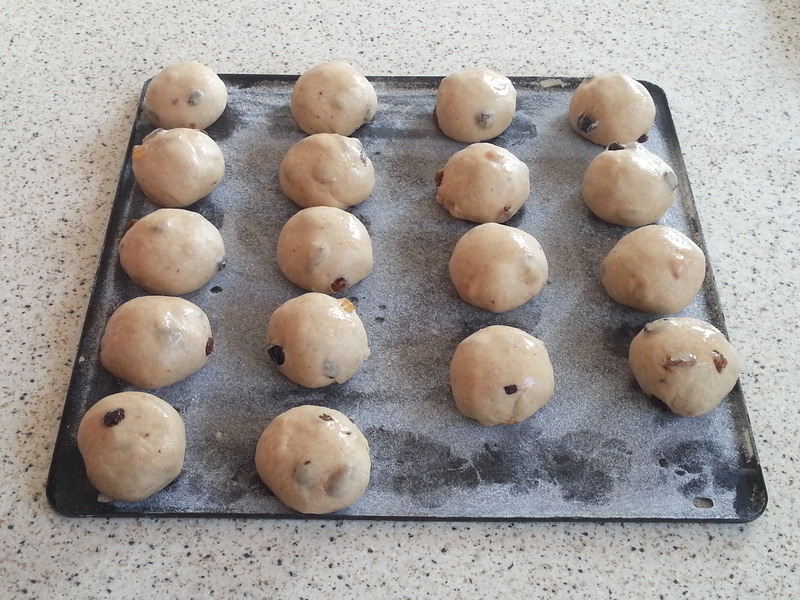 While the buns are baking, melt the jam together with the water ensuring it is lump free. When they have finished baking, remove the buns from the oven, transfer to a wire rack and brush the glaze over the top. Leave to cool slightly, then tear open and spread on a little butter – delicious!